If you think a loan is just a loan – stop. The purpose of a commercial loan is to generate revenue, make improvements (equipment) or commence new construction development. Generally, these loans have short durations, some have balloon payments and pre-penalty fees when it comes to paying off the loan early. What all loan processes share are the guidelines (underwriting), limits (pre-approval) with terms and conditions (closing). Understand commercial loans are associated with real estate (property). Lenders base the final approval on the financial strength of the business along with the owner’s ability to make a profit. Although creditworthiness along with the value of the property are still considerations in the process – they are not always final decision factors for approving a commercial loan. Before you begin this process, be sure to work with a broker. They will walk you through the progression to make sure you get the best terms, least fees, and doable conditions available from various lenders. Financial institutions like banks and credit unions have specialized departments to process commercial loans. Lenders could also consist of private financial investors or other capital resources. Starting with the preapproval assessment, the process is looking at the financial history of the business and its assets. Lenders may prefer an entity (corporation, LLC or partnership) versus an individual ownership – it’s a legal strategy to instigate legal foreclosure avoiding any court delays. As lenders review the business plan, they’re interested in how the funds will be used to generate future revenue. Remember financial investors follow the industry performas – they know the prevailing trends, industry competition, and the future outlooks. During the evaluation, lenders review the borrower’s experience and the enterprise’s cash flow. A steady net income of twenty percent or higher than the enterprise’s debt is a healthy position to be in. Both help to define the risk of securing the loan and avoiding the possibilities of default. Whether the business is young, newly partnered or, recently purchased lenders use the loan-to-debt ratio. It determines the level of risk associated with the loan. High debt ratio to equity equates to higher risk. 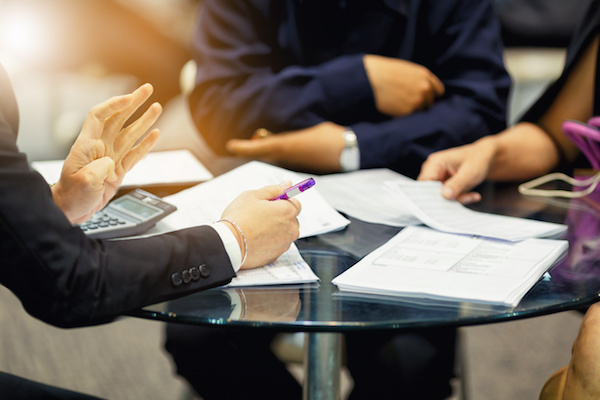 Without an established financial record for the business, personal assets may be used as collateral, giving the lender the option to seize the assets on default. Breaking down the enterprise’s finances reveal the ability to repay the loan. At this point moneylenders are working on the best investment loan for your enterprise by comparing the entity’s past data, recent growth trends aligned with the industry’s projections. This information outlines the loan terms and determines the Debt Service Coverage Ratio (DSCR). DSCR measures the cash flow generated as a result of the loan to pay back the debt. All lenders require some form of guarantee to repay the loan. These documents reveal how entities manage slow seasons with less revenues, industry shortfalls and operational debt. Industry ratios and liquidity assessments – cash in the bank and excess cash flow – verify the enterprise’s financial health and stability. Tax files for the past three years with all of the details and attachments (schedules). Financial statements – These documents show how the business spends its earnings. Accounts Receivables (assets) and Accounts Payable (liabilities). Your broker can guide you through the loan provisions of prepayment penalties. Not all commercial loans impose this fee, but it does have some trade-offs. Sometimes a lower interest rate accompanies the penalty provision extending the life of the loan – this prearrangement may benefit the enterprise. Here, the agreement maintains the loan to its maturity date, establishing a long-lasting financial relationship producing the lender’s projected profit. Principle portions of the loan can be paid early – not in full to avoid the prepayment fee. Legally some states do not allow prepayment penalties – ask questions. Commercial lenders offer working capital directly related to an enterprise’s property, inventory, and equipment. The purpose is to generate revenue growth opportunities for the business. With the help of experienced brokers, the right loan can be effective.